I’m excited to use the words “new bike lane”, but it’s probably because I can’t remember the last time I used them. Last Friday, I got a tip from bikepacking guru Mark that he spotted some new lanes on Vanowen off of Vineland. With my mind in City of LA mode, the first thing that registered was no recollection of bike lanes being listed in LA’s Mobility Plan, but does that even matter these days? Since details were dicey and so was my placement of the Burbank and LA border, it was hard for me to place where they were. I normally don’t head out that way, but I needed some 26″ inner tubes at 730am on a Sunday, so Target being the only store open at that hour gave me a convenient excuse to check them out. 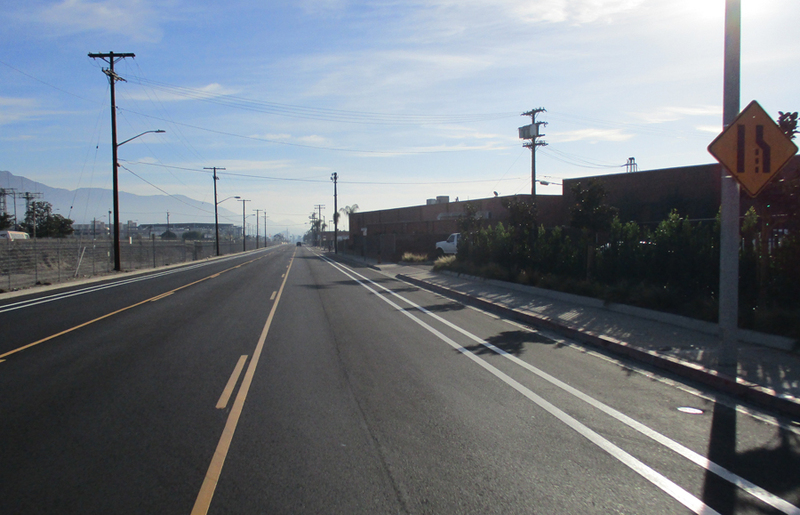 I kept going, but it wasn’t until I got past the second Clybourn intersection (it jogs about a quarter mile east), when I knew I was in Burbank, until the first sight of extra white lines were spotted. My lazy Google Maps graphic of the new lanes (I could ride it in two minutes). Coming from this end, the lanes didn’t connect with anything. They were kinda just there. For those unfamiliar, ride at the Burbank border, Vanowen curves to parallel the train track and feels like a mini freeway since you can pretty much drive over a mile to Buena Vista without hitting another intersection with a traffic signal. My theorum on the main purpose of these lanes is to give bike access from the Metrolink Station to Hollywood Way where they terminate. There seems to be no end to these lanes to the human eye. In other words, you’re not going out of your way to ride Vanowen since it feels super uncomfortable cycling next to high speed vehicles. 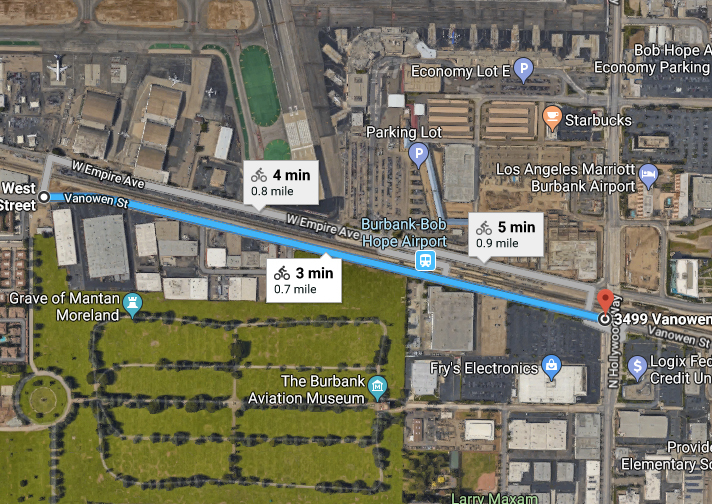 The sad part with this inclusion is that with this .7 mile addition of bike lanes on Vanowen, Burbank has matched the distance the City of LA has added to Valley region (Foothill Blvd.) for 2017. And yes, that covers a population about ten times the size. Now I’m not really being fair here. 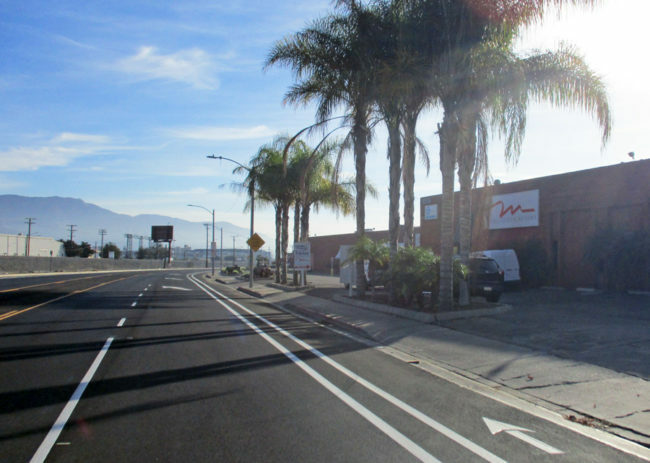 As Scott Epstein pointed out yesterday, Burbank will be extending its lanes on Verdugo Ave. about a half mile in BOTH directions with construction starting next week. Even more new lanes. HUZZAH!! I’m particularly excited about the western addition, since it’s a section I currently ride even those the lack of lanes have made it an uncomfortable ride. The extension on the east side makes a nice connection to the lanes on Main St. This has been an abysmal year for safety improvements for LA and it’s about time someone called them out for this. You can show up to press conferences, ride CicLAvias, but the bottom line is it’s hard to make an argument that the City could have done a worse job. Thanks for nothing…which is what you’ve given us. Griffith Park Adds…a Water Fountain!